The Space Shuttle Discovery launches, for the final night launch, from Kennedy Space Center's launch pad 39A, in Merritt Island, FL, on April 5th, 2010 at 6:21 AM. The shuttle is carrying supplies and equipment to the International Space Station. Barbaro (second from right) with jockey Edgar Prado, makes a move around Mark Guidry aboard Sharp Humor (far right) on the final turn to win the Florida Derby, at Gulfstream Park, in Hallandale, FL, on Saturday, April 1st, 2006. Surfers watch pelicans fly by while waiting for a set of waves, in Lake Worth, FL, on Monday, December 14th, 2009. 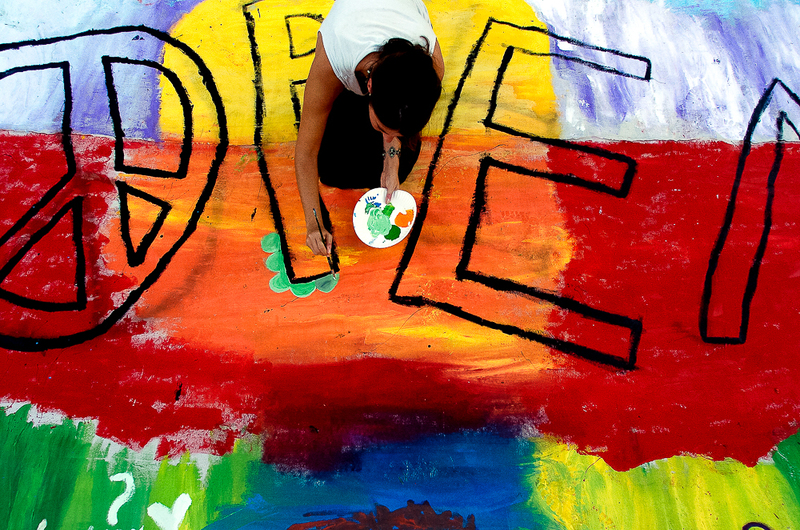 Sarah Brothers, 29, of Delray Beach, FL, paints a tarp at the Open Grass Music and Art Festival at Bryant Park, in Lake Worth, FL, on Saturday, January 12th, 2008. The festival was an all day celebration of music, art, food and family fun. Brothers is the Director of Art and Volunteers for Milago Art Center, which helps children five to nine years-old get involved with arts. Cierra Allen, of Loxahatchee, FL, a senior at Seminole Ridge High School, performs "Le Carnivale Bohemien" with the Seminole Ridge Marching Band, during the Santaluces Marching Chiefs Invitational, at Santaluces High School, in Lantana, FL, on Saturday, November 8th, 2008. Twenty-five bands from around the state competed in the event. Local artist Toni Bapula shows her hands after street painting during the 15th Annual Street Painting Festival, in downtown Lake Worth, FL, on Sunday, February 22nd, 2009. More than 400 artists have gathered to make over 230 paintings turning Lake and Lucerne Avenue into a collection of gallery worthy art during the two day event. The Lake Worth Street Painting Festival is one of the largest street painting festivals in the country. Andrew Lawrence, CEO of Marine Bank & Trust, poses for a portrait in Vero Beach, FL, on Tuesday, May 25th, 2009. Lawrence and his bank are just one of hundreds of Florida-based banks who have applied for Troubled Asset Relief Program (TARP) funds. Lawrence was able to secure $3 million from TARP to grow their loan and assets programs. Danea Leigh, of Turn Off the TV Theater, performs in The Nightmare After Christmas, in Downtown Lake Worth, FL, on Saturday, Jan. 8, 2011. The Nightmare After Christmas performance is based on “The Nightmare Before Christmas” movie. Justin Mih, of Cambridge, MA, competes in the 8th annual Sweet Corn Fiesta, in West Palm Beach, FL, on Sunday April 27th, 2008. The 8th annual Sweet Corn Fiesta was a celebration of the spring sweet corn growing season. Sandy and Steve Axelrod of Wellington, FL, pose for a portrait inside their home on Friday, October 27th, 2010. (Young At Heart feature). Luis Escobar, a 7-goaler polo player stands with his horse, Envy, at Santa Clara Polo Club, in Wellington, FL, on Friday, December 10th, 2010. Escobar moved to Wellington from Costa Rica 20 years ago and is planning to teach polo at his Wellington facility. Catherine Huntley, 9, of Coral Springs reacts to Pablo Cano's marionette, Gypsy Angel, during the final performance of Pablo Cano & His Musical Marionettes, at the Coral Springs Museum of Art, in Coral Springs, FL, on Saturday, August 18th, 2007. Athletes dash out to the Atlantic Ocean, at sunrise, for the start of the ninth running of the Tropical Triathlon, in Lake Worth, FL, on Saturday September 10th, 2006. Susan Strauss, of Wellington, FL, poses in her living room, on October 31, 2006. 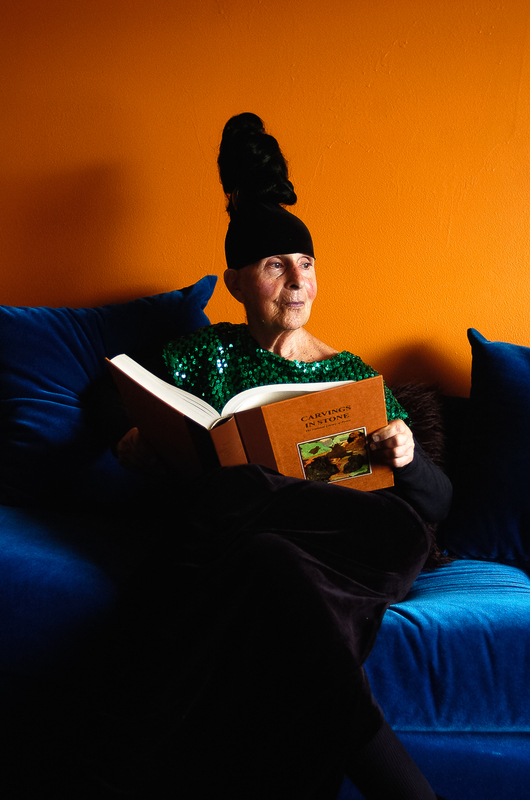 Strauss is known locally as "The Wellington Witch" for her unusual style of clothing and behavior. Despite the rumors, she is a retired poet and gardener. Donald Stone, 79, stands on the dock outside his home in Boca Raton, FL, on Friday, February 26th, 2010. Stone is on the city’s marine advisory board and is a former Navy Seal. Michael White, 47, of Royal Palm Beach, FL, buries his head into a cherry pie during a pie-eating contest, at Veteran's Park, in Royal Palm Beach, FL, on Saturday, June 13th, 2009. The village was celebrating Royal Palm Beach's 50th Anniversary with a myriad of fun activities and events. 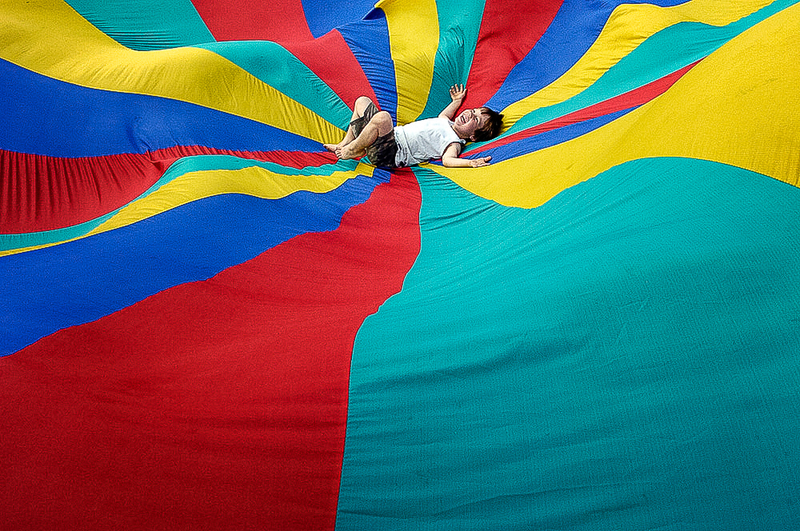 Adam Mchugh, 5, of Lake Worth, FL, rolls on top of a parachute, during Lake Worth's 8th Annual Peace Jam, at Bryant Park, in Lake Worth, FL, Saturday, April 21st, 2007. The event was held in celebration of Earth Day. One-day-old patient Juan-Jose Astacio, who was born 10 weeks early, sleeps in the Giraffe Incubator, inside Wellington Regional Medical Center's new Neo-Natal unit, in Wellington, FL, on Friday, January 30th, 2009. 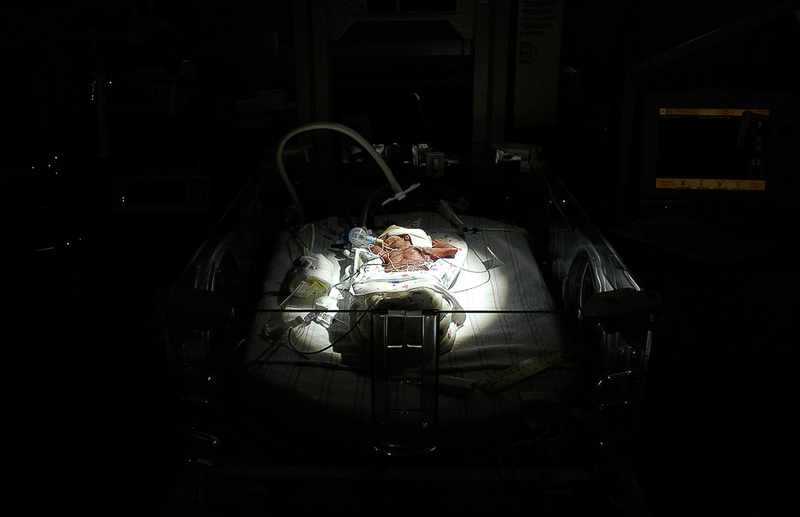 The Neo-Natal unit opened at Wellington Regional Medical Center on January 26th, and is equipped with state-of-the art technology that can provide care for critically ill and premature babies. American Top Team Wellington student, Brian Mahecha, 21, of Davie, FL, poses for a portrait on Wednesday, June 9th, 2010. Mahecha had come back from stage 3 cancer where his infraspinatus rotator cuff muscle and part of his scapula were removed. Inspired by his brother's training in Jiu-Jitsu, he joined the team, which led to a rapid recovery of his muscles and he is now practicing competitively. Players from Florida Gators Little League team cheer and toss candy from off a float during the Royal Palm Beach Youth Baseball Parade in Royal Palm Beach, FL, on Saturday, February 16th, 2008. 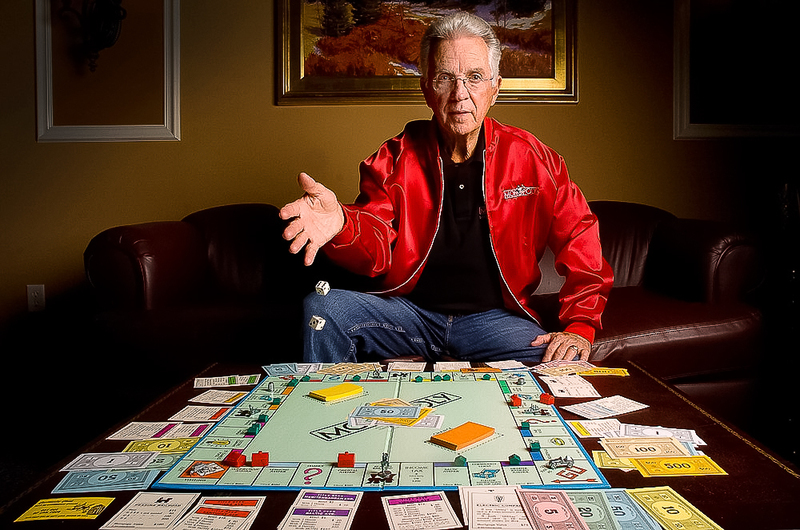 Gary Peters, of Boca Raton, FL, poses during a game of Monopoly. Peters is president of the charity Boca Helping Hands, which provides food and assistance programs for families and individuals in need. Peters is a 1991 Monopoly game Hall of Fame inductee and founder of the Monopoly Event & Casino Game Night, an annual event to help raise funds for charity. Abigail Estevez, 6, of Royal Palm Beach, FL, reads a newspaper before crumbling it up and stuffing it into a scarecrow, during Fall Fest 2009, at Veterans Park, in Royal Palm Beach, FL, on Saturday, October 23rd, 2009. The festival included a magic show, materials to make your own scarecrow, craft vendors, roving entertainers, and live music. 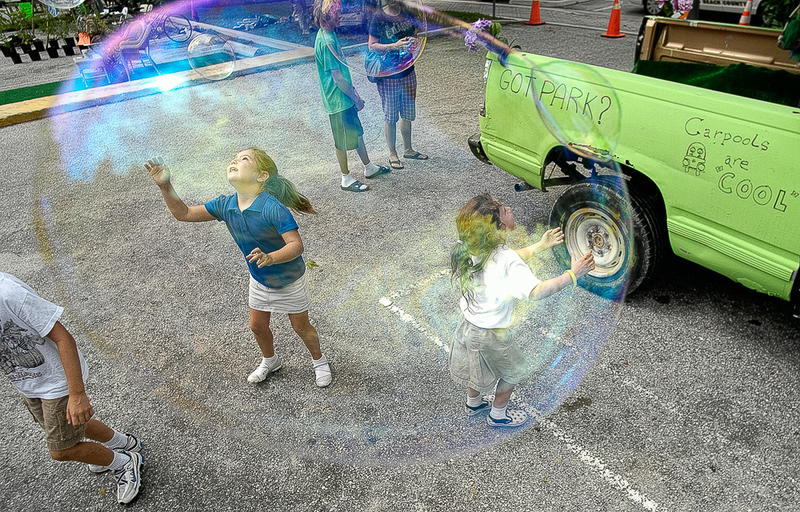 Tylee Betts (in blue), 6, and her sister Drew Betts (right), 5, both of Lake Worth, FL, try to catch bubbles, during the 2009 PARK(ing) Day event, in Lake Worth, FL, on Friday, September 18, 2009. PARK(ing) Day began in San Francisco as a creative exploration of how urban public space is used. Lake Worth residents, farmers and local environmentalists used the public parking spots to create miniature parks and promote environmental awareness. Rick Newman poses with his robot collection at his home, in Boca Raton, FL, on Wednesday, January 19th, 2011. Newman owns more than a thousand robots making him the world’s largest robot collector. Many of his robots are on display in public venues throughout the county, including the local Sugar Sand Park and Science Museum in West Palm Beach. Occupational therapist Doug Winter (left), of West Palm Beach, FL, with the assistance of Vinceremos riding instructor Fatma Collins (right), comforts Junior Dominique (center), 7, as he battles with the pain of Cerebral Palsy during his therapeutic riding from Vinceremos Therapeutic Riding Center, in Loxahatchee, FL, on February 15th, 2008. The riding center uses horseback riding as therapy for children and adults with physical disabilities. The riding helps patients relax the muscles in their hips and legs while building strength in core muscles. Seth Schneider, 34, of Boca Raton, FL, poses for a photo while sitting on a Plasma Car at the Learning Express in Wellington, FL, on Tuesday, November 17th, 2008. Schneider is the owner of the Learning Express, the largest independent specialty toy store, which has recently opened in the Wellington Commons plaza. 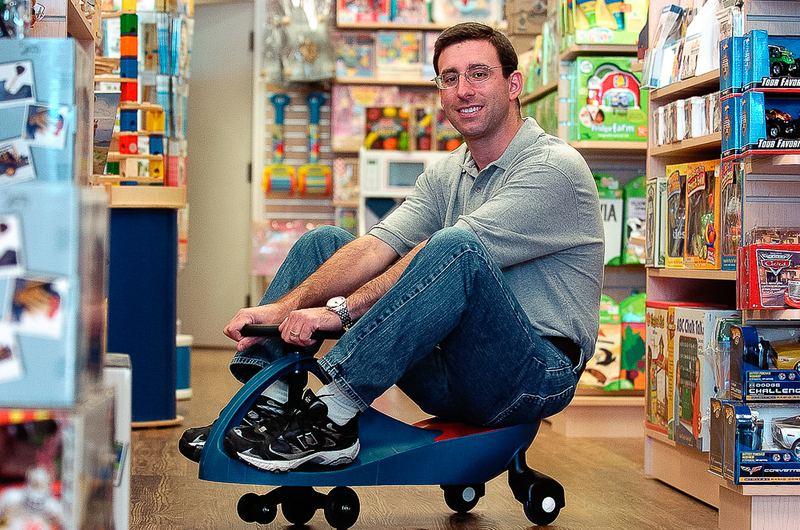 The Plasma Car has been the store's best selling item for the holiday season. Carey Tarkinson, 12, of Boynton Beach, FL, stands in the hallway at St. Mark Catholic School, in Boynton Beach, FL, on Wednesday, September 21st, 2011. Tarkinson was the only student selected by teachers to participate in the Junior National Young Leaders Conference in Washington, D.C.
Yoga instructor Alexandra Fox, 12, of Delray Beach, guides her students into an Airplane pose, during a yoga class for kids, at the Colony Hotel, in Delray Beach, FL, on Saturday, September 23rd, 2007. Fox teaches a yoga class to kids ages 4-14 once a month. 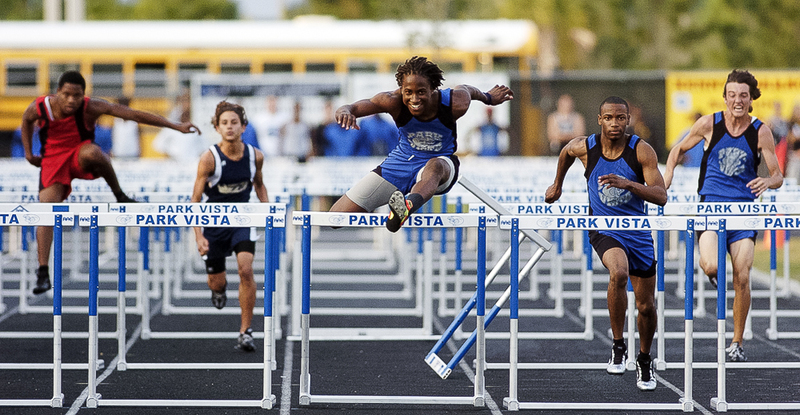 Ray Dorsainvil (center), of Park Vista Community High School, competes in the Boys 110 Meter Hurdles, during the first track meet at Park Vista Community High School, in Lake Worth, FL, on Tuesday, February 27th, 2007. Dorsainvil finished the race with a time of 0:16.16 seconds. Jennifer Singh, 15, of Royal Palm Beach, FL, smiles after being covered in colors during the Florida Hindu Cultural and Religious Association's Phagwah Festival of Colors, at Okeeheelee Park in West Palm Beach, FL, on Sunday, March 30th, 2008. 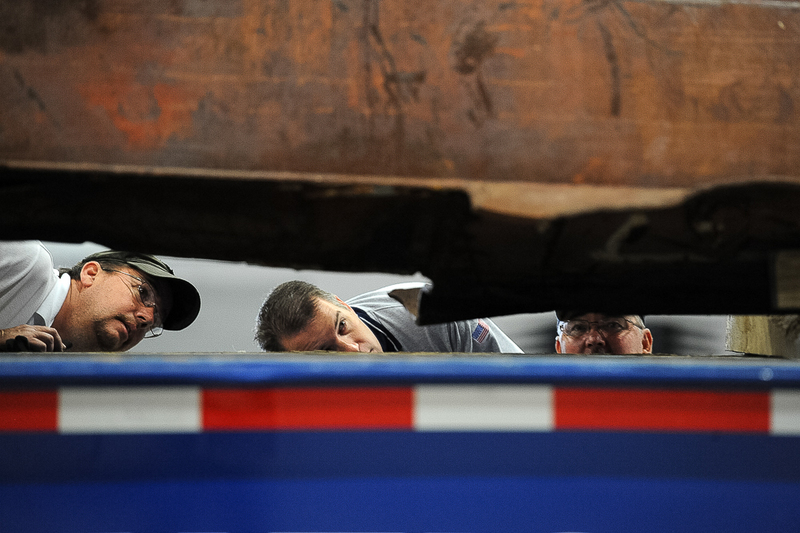 (Left to right) Trade Crew Chief Lonnie Brevik, Wellington Vice Mayor Matt Willhite, and flatbed driver Tim Day look closely at a steel beam that connected the 69th through 71st floors of the South Tower of the World Trade Center. The beam was hauled from New York to Florida for display at the South Florida Fair on Monday, January 3rd, 2011. Lisa Hamilton, of Wellington, FL, poses with a tray of her freshly baked cupcakes, inside the Cupcake Cottage, on Wednesday, December 15th, 2010. Hamilton, owner of the Cupcake Cottage, has retired from working in construction to pursue her dream of owning a cupcake shop.